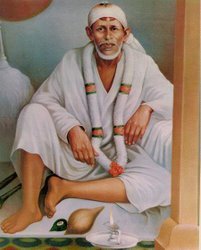 For a more detailed and comprehensive article visit ->>>> Meditation - Shirdi Sai Baba. i received a mail from a devotee reader, and i felt like posting the answer, so here it goes. 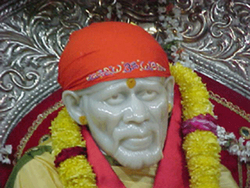 I have read your site on Sai Baba many times, and cannot tell you how touched I am by your experiences at Shirdi. However, I do have one question for you. 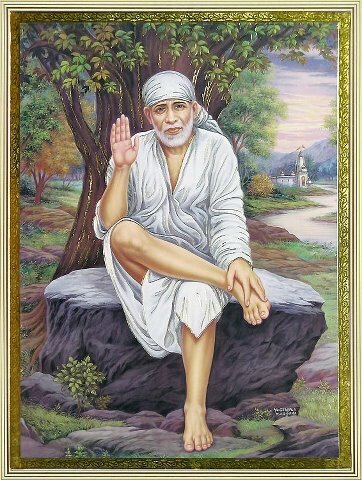 This is regarding meditating on the picture of Sai, which is what you do, I believe, for an hour. This idea appeals to me very much, and I would like to try this. But are you saying that you cannot receive Sai consciousness doing it this way? (re Paramahamsa's quote). Is this not meditating? I wonder if you could clarify this point for me please. Thank you - and I look forward to hearing from you. This is meditation, watching His form with love and devotion is the what Baba himself suggested. (re Paramahamsa's quote). Is this not meditating? is what he asked so that the listener ponder over it, later he explained it is. they get touched by reading my experiences at Shirdi. Few have mentioned that even they felt the subtle energy while reading it and few even told me tears flowed through their eyes, while reading it. It just shows that the grace of Sai Baba and Shirdi is touching them. 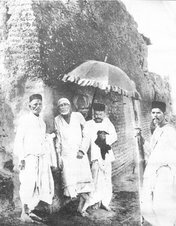 I feel it many a times while reading devotees experience about Shirdi Sai Baba or while talking or listening about the same. 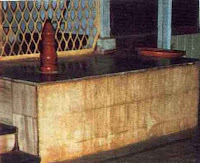 Regarding the meditating on the picture of Shirdi Sai Baba, which i do, it’s just a modification of the meditation I use to do before my Shirdi experience. Meditation is not, 'doing something', rather it is letting what ever feelings or thoughts we get according to our karmas and impressions collected, through ages. It is letting it happen totally with full force as and energy not naming or judging it. And we get free from it and it does not linger in our system. It is about consciousness on our self what happens to us and letting it happen within, with full throttle. This is modified, I let it happen while watching Baba Sai's picture. As described in other post what to do with this mind? 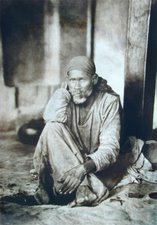 Watching Sai Baba’s picture, is a mediation in itself. What I normally used to do, was much tough. While watching Sai Baba’s picture Sai Baba’s love and grace makes it so simple. When there is no upsurge of any normal feeling or disturbance it fills the body and brain with Baba's graceful energy. The energy is first felt in brain and heart and gradually it fills each cell of the body, vibrating with the energy. 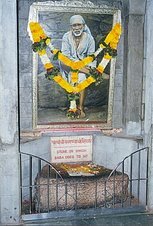 If any emotional or mental disturbance is there, I let it happen while watching Sai Baba’s picture. I mean I don't resist it nor do i go with it. I have business with Sai and those things may come and go as they wish. Our business is to put our attention on Baba's form and grace. 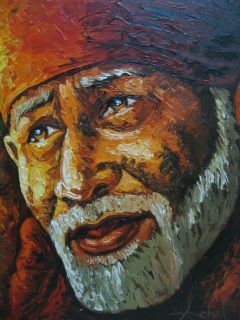 And in those disturbing moments the energy or love and grace of Sai Baba holds the mind and heart, it sustains it. As if mother is holding the child in distress. 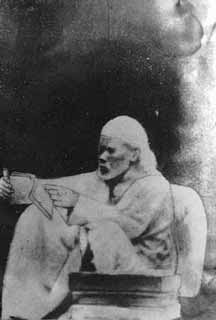 Also watching Sai Baba's picture acts as a catalyst agent. The process of inner growth speeds up significantly. But it is much more than the catalyst effect, the support one feels, well it cannot be described in words. 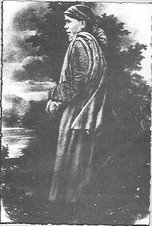 Coming back to Sri Ramakrishna Paramhansha’s quote, the following is written “Ramakrishna Paramhansha’s words that how could one who think about consciousness get unconscious. So how can one who watches the picture of consciousness incarnate get unconscious. 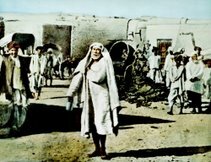 I still meditate on Baba’s picture and feel this consciousness within and without.” Watching Sai picture is one of the most powerful way of meditating I have experienced. It needs little effort from us, let what ever is happening without judging it and surrendering it to Sai Baba. Consciousness within and not trying to do anything else. Than Sai Baba’s grace take care. Recently I had this experience of getting the brain and body drenched in Sai Baba’s grace, while watching videos of Aartis of Sai Baba. I have mentioned it in previous post. I would feel it so strongly. And yes Aarti I feel is also a very effective way of meditation. Meditation is full awareness on the present moment. The eyes watching Sai Baba’s form as Statue or picture, ear listening to the music, all the rhythmic of sounds of various kinds of musical instruments not to be missed, with the vocals and chorus vocals. All our senses if we are alert comes to the present moment quite easily. But if the mind is wandering somewhere else, may be for a meeting, or whatever mind has so many routes to wander. Than the Aarti has little meaning, in terms of any kind of mutation. And yes if the mind wanders during Aarti or while meditating on Sai Baba’s picture, to capture the wandering mind is not in our hands, it is beyond us, so again, we have to be conscious about it, let it happen, be humble and tell Sai Baba, looks Baba the mind is wandering during the Aarti and while meditating on your picture. It is beyond me. And Sai Baba is there for us for the beyond. I hope you experiment with it. I will like to end the post with a paragraph from a book which I love Gospel of Sri Ramakrshna Paramhansha. Another link to online book here. Hi, I read your this article and one on "what to do about this mind"? 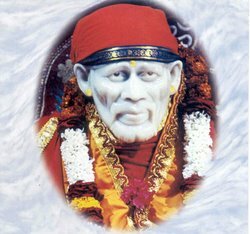 I like both the articles and i want to pacify my mind...Past few days were really bad and my mind suffered a lot....Can you please explain the procedure again in short simple sentences about how to meditate on saibaba.